That’s what Courtenay McFadden wrote on her blog after the two U.S. World Cups. 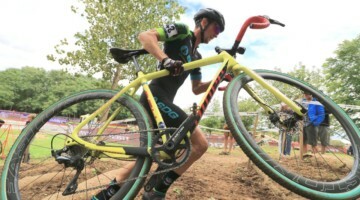 In a U.S. cyclocross season defined by injuries to several of the sport’s top riders, McFadden’s leg injury suffered in a mountain bike crash the week before Waterloo was perhaps the most devastating. Why? Well, McFadden has been through some things in the last two years. After finishing 15th at the 2017 World Championships in Bieles, McFadden headed home to have surgery on her right hip. She had long suffered from a Femoroacetabular Impingement caused by an extra bone in her hips, and after an injury at the 2016 KMC Cross Fest, she knew she had to do something about it to keep racing. McFadden had her first surgery in February 2017. 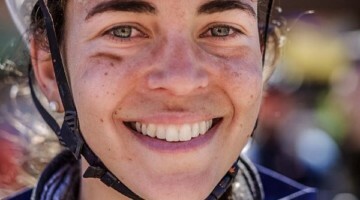 She spent the summer recovering and returned to race cyclocross in the fall. She dubbed the new right pain-free hip Hip 2.0. McFadden went on to have a successful season, capped by fourth-place finishes at both the Pan-American Championships and Reno Nationals. However, as she was racing strong, she knew a second hip surgery loomed at the end of the season. McFadden had surgery on her left hip one year after the first. The left hip is now Hip 2.0 2.0. Recovering from surgery is a difficult, often painful experience. The first time through, you feel pains and aches that you cannot help but wonder if something is wrong. Fortunately for McFadden, the second time around was a bit easier since the Hip 2.0 2.0 surgery was a repeat of the Hip 2.0 surgery. As mid-summer rolled around, McFadden was preparing to hit the ’cross course running in September. After racing well in September 2017 after the Hip 2.0 surgery, McFadden was hoping she would be ready in September 2018. She had a big September planned with trips to Rochester, Reno, Waterloo and Iowa City. When August rolled around, however, the feeling was off. The next weekend, McFadden planned on doing a local race on Sunday before heading to Reno for RenoCross on Wednesday. On Saturday, things went horribly wrong. McFadden coasted down the mountain, trying to pedal where she could. Fortunately, her hip was okay, but by that evening she could not walk. The same was true on Sunday. RenoCross was out, and Trek was only a week away. McFadden headed to Waterloo, Wisconsin with the rest of the cyclocross world hoping to be okay for the World Cup that Sunday. She took to the line, but right from the start, she knew things were bad. 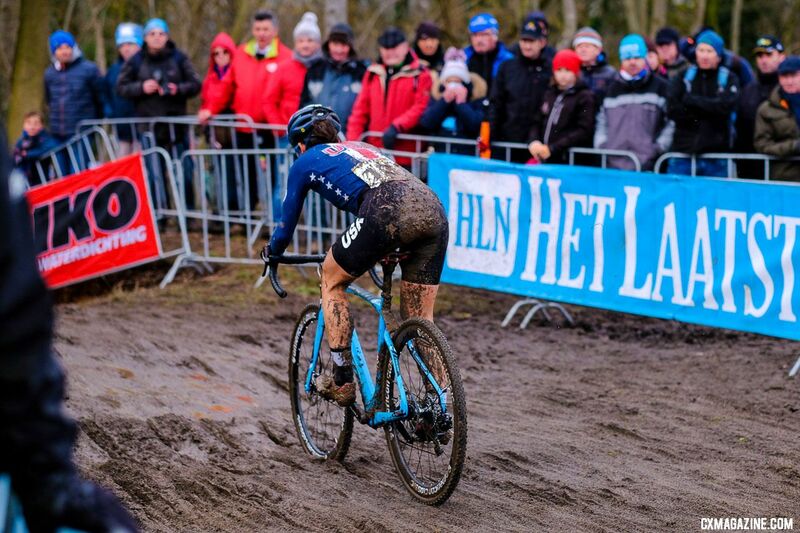 It has been a long time since McFadden has found herself at the back of a cyclocross race. With how she found herself fighting for at best 30th place, the support from the fans in Wisconsin actually made things worse. There is no question that a big part of why McFadden has risen through the cyclocross ranks is her toughness and dedication as an athlete. After having quite possibly the worst day of her career in Waterloo, she refocused on fighting through the pain and getting better for the Jingle Cross World Cup the next weekend. It was a task too tall for one of the toughest competitors out there. “I was just emotionally cracked come race time. I couldn’t focus, I couldn’t focus on the task at hand,” McFadden said. 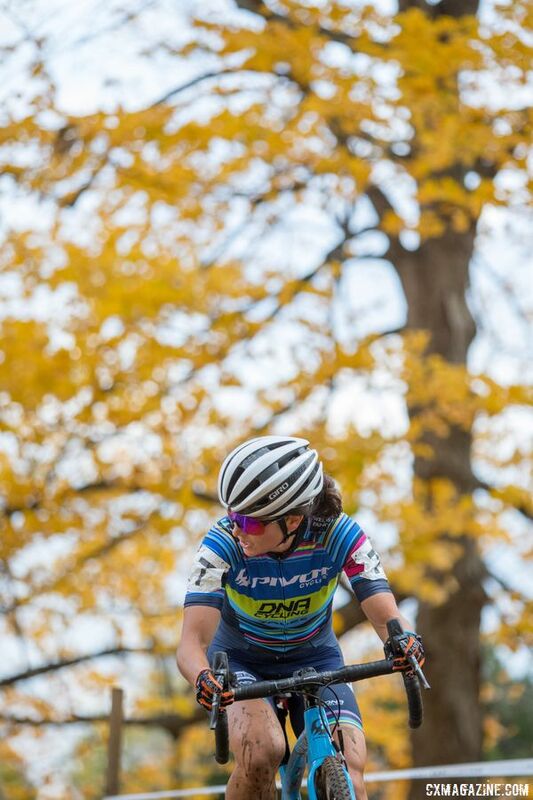 She took a DNF in the Jingle Cross World Cup and bailed on Sunday’s C1. Her results in the Midwest were not what McFadden spent four weeks on crutches and countless hours spinning on a spin bike for. She headed back home to Bellingham and decided the best thing to do was take a break. The challenge for McFadden was that the race in Waterloo was hard to shake. She has sacrificed a lot to recover from two hip injuries, only to have another leg injury take her down in a race she placed a lot of importance on. She needed to come up with a plan for dealing with that memory. McFadden will be the first person to tell you that she blessed to have a strong support network in the Seattle area. Her husband Chris, her chiropractor, her massage therapist, they all help to keep her healthy and provide support. Then there is the larger Seattle cyclocross community. 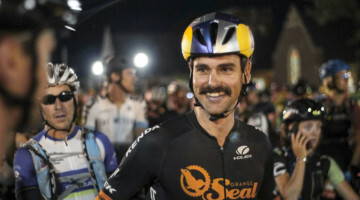 McFadden came up through the Seattle-area MFG Cyclocross series and in 2012 and 2013 made the transition from local hero to a player on the national UCI scene. As it turns out, one of the best places for McFadden to be was back with the ’cross community that has seen her grow as an athlete. The 2018/19 cyclocross season has not gone the way Courtney McFadden envisioned it would. However, after taking a much-needed month at home, there is still plenty of cyclocross left for her to race. Season 2.0 kicks off on Saturday at the Cincinnati Cyclocross weekend. When she hits the line, McFadden will have a new focus for her racing. With the pain McFadden has suffered through and the toughness she has shown recovering from injuries and surgeries, counting out a strong return this season would not be wise. 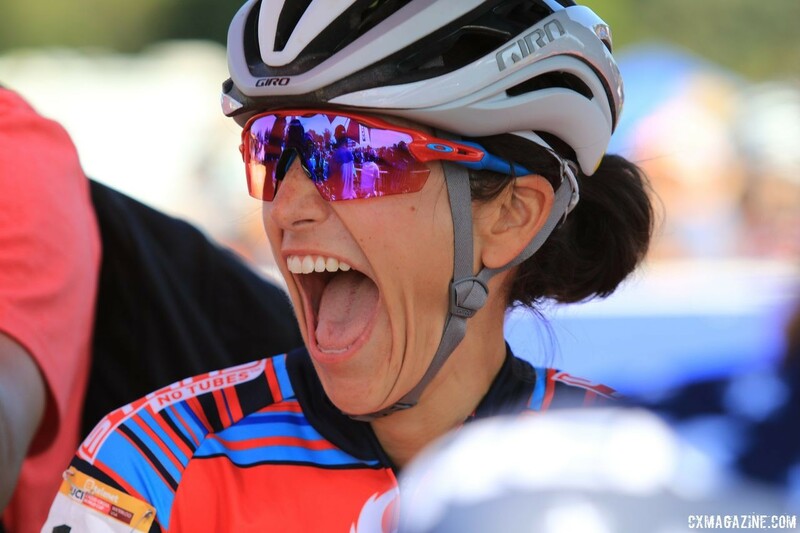 Even if it is not this weekend in Cincinnati or next weekend at Pan-Ams, she will likely be back as a factor at the front of U.S. UCI races in due time, and her rough start to the season will be a distant afterthought.